This is post 15 of 31 for the Blaugust event. To check out more Blaugust posts and sign up to participate, visit the Blaugust Nook! 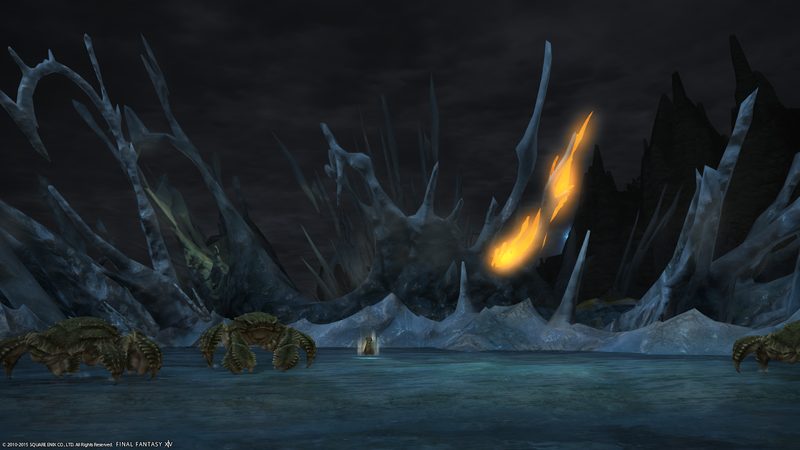 The Salt Strands in FFXIV over near Lamia. I’ve been on kind of a screenshot kick, lately. This one I took while I was working on my Marauder quest, Bleeder of the Pack. I’ve been posting all these screenshots mainly because I’m trying to catch up on Blaugust posts (don’t judge!). But also because life has been so busy, as of late. I haven’t been getting in as much gaming as I’ve wanted to, and it’s wearing on me. The last time I hopped into Final Fantasy was over on Lamia back at the end of July (before the move). And it wasn’t for very long. About a week before that was the last time I played on Cactuar. In fact, as of today, it’s been a month since I logged in on Cactuar. But, I haven’t logged onto Cactuar because I’m feeling a tad stuck with real life. Plus, I really want to get to 30, and I can’t do that without Chaide because we play together on those classes. I suppose I could login and do some farming this weekend. Just some fishing while I work on chores, or watch some Netflix. Or put together my character sheet for our new D&D game that starts this weekend. Or even putting together videos. Videos are something I’ve also wanted to do a lot of this month, but haven’t had the time to. So, there we have it. I resolve to hop into Cactuar this weekend, even for an hour or two, just so I can work on some professions. If I recall, I think I even put Mining on my list of goals for August. So there! Motivation! And a goal! I’m feeling better and less stressed already!